Discover our A-Pallets and VIP-Pallets. The A series plastic pallets “light” from GI-OVO are versatile and very affordable. These plastic pallets are available in the Euro pallet size 800×1200 mm. The VIP-series plastic pallets, where VIP stands for Very Intelligent Pallet, is perhaps the best plastic pallet available in the market. The A series plastic pallets “light” from GI-OVO are versatile and very affordable. 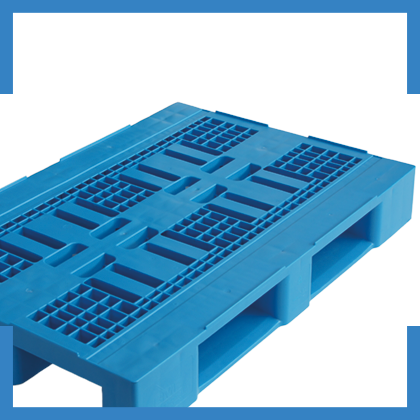 These plastic pallets are available in the Euro pallet size 800×1200 mm. They are standard made of new HDPE materials, but we can also supply made of recycled material. The Light plastic pallet from the A series is a perfect export pallet. Very strong, yet cheap and available from stock. The VIP-series plastic pallets, where VIP stands for Very Intelligent Pallet, is perhaps the best plastic pallet available in the market. The plastic pallets are available in Euro (800x1200mm) and Industry size (1000×1200 mm). 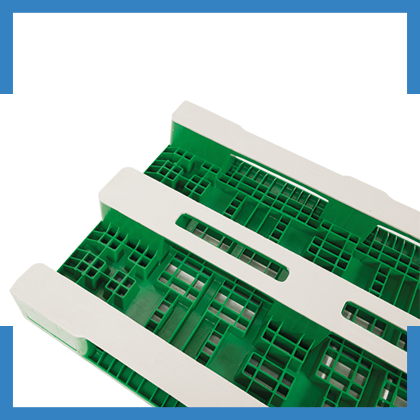 In addition to a standard open upper deck, this plastic pallet is also available with a closed deck. The ergonomic handles in the middle of the upper deck are standard, making lifting the pallet very simple and less heavy. The VIP series has extra thickened walls that can withstand bumps, as well as bigger impacts. On top of that there are plenty of options.